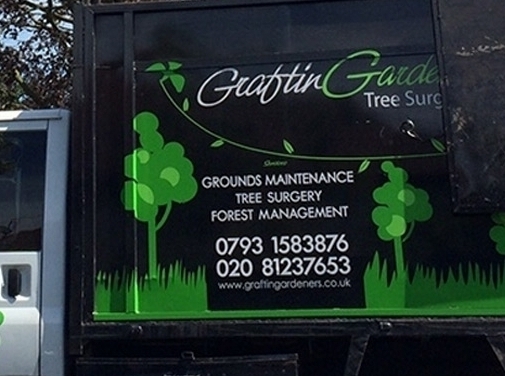 GraftingGardeners Ltd is London's leading tree company with over 15 years of experience in the industry and caters for both residential andcommercial clients. We supply the most comprehensive and competitive service and are alwayshappy to provide customers with bespoke quotes. Our company is equipped to handle all aspects of tree surgery and have10 teams of arborists which consist of consultants, tree surgeons and groundstaff. Having a 7.5 tonne grab lorry makes light work of even the largest andtoughest jobs, but we have normal 3.5 tonne trucks to handle the rest. All staff hold NPTC/City&Guilds qualifications and we are fullyinsured for up to £10 million in liability for claims. Get in touch with us now and we can send a tree specialist to yourpremises and provide you with a professional and free estimate. UK (London) based business - established in 2009 - providing tree surgeon services. Website includes details of services provided, "meet the team" page, associations, work examples, testimonials, full contact details.